The order issued, in US vs. Reza Zarrab, which denied the Government's motion to remove some of the defense team, upon allegations of conflict of interest, also provided that both sides has an ongoing duty, to notify the Court should any new facts or circumstances arise, which might require the conflict of interest issue to be reopened. Pursuant to that order, an in an obvious overabundance of caution, defense counsel notified the Court, by letter, of a new event involving legal representation, involving a potential conflict, in an unrelated matter, but concluding that no new conflict existed. Specifically, one of the firms involved in Zarrab's defense has been retained, as of February 2017, to represent 28 brokerage firms, who have been sued for work connected to underwriting debt offerings. A number of the firms are subsidiaries or affiliates of major financial institutions. The defense letter argues that these firms were not involved in international wire transfers, and related services, meaning that no work will be done by counsel, related to clearing of payments, and only by a subsidiary, not the banks who allegedly sustained losses due to Zarrab's actions which violated international sanctions. Additionally, the letter argues that the sole issue in the representation is the Statute of Limitations in a Securities Act case, and argues that there is no conflict, nor was any prior potential conflict of interest aggravated. A fair reading of the facts indicates that this is merely a preventive act, lest it not be reported, and the US Attorney's Office seize upon it as a new issue. It is doubtful that the Court will look upon it as a conflict. A $7m Civil Penalty, levied against Merchants Bank of California, for what were referred to as "egregious"violations, shows that Federal banking regulators, in 2017, are focusing upon the required due diligence that banks must conduct on their foreign correspondent accounts. Close to $200m was flushed through MSB accounts owned and controlled by senior bank officers, who saw that no effective compliance was conducted upon those foreign transactions. Needless to say, the fact that a few Merchants Bank officers deliberately ordered compliance evasion on customers of their own MSBs, and your lack of knowledge of who owned what, means that staff at this bank are off-limits, as a risk-based precaution, as hires anywhere else. You simply do not know who the bad guys in the bans are, and you must red-line everyone. This decision confirms that any failure to Know your Customers' Customers will be dealt with in a swift and severe manner, as KYCC is no longer optional. total KYCC malpractice seems to be the 2017 focus of US regulators, and with good cause; many correspondents, for reasons previously detailed on this blog, are simply not achieving adequate KYC on its own customer base. It is, frankly, up to the North America-based onshore bank to do so, through KYCC, or delete the foreign correspondent from its relationships, lest regulators slap a hefty, but justified, public fine upon it, for not knowing who its correspondent maintains as clients. Do you actually know who your correspondents' customers are ? If not, why not ? (1) Constructed to reduce risk to an acceptable level. (2) Automated, to reduce the requirement for constant, repeated human query. (3) Self-verifying, so that information, once obtained, will be confirmed. (A) Know Your Customer: the client KYC must be obtained, confirmed, and available online. Changes in Condition, or a material change in client circumstances, must be automatically reported to compliance monitors. (B) Know Your Customer's Customer: all the client correspondent bank's KYC data must be in the onshore bank's program, be updated constantly, and shall deliver evidence of unsatisfactory events, or of material changes in the client's situation or condition. (C) AML/CFT performance: A second-generation, cloud-based program, that extracts, and confirms, through third parties, relevant data, that is state-of-the-art, actually ahead of banking best practices, and which effectively delivers profile data, and evidence, far more efficiently than the first generation database which dates back to 9/11, and has not been upgraded since. If your compliance program performs above expectations, on all three of the above tasks, KYCC, KYC, and AML/CFT, you are probably exceeding banking best practices, but if it is not, then switch to one that does. Since he was taken into custody in January, 2017, by agents of the Islamic Republic of Iran, there has been no news regarding criminal charges pending against Alireza Monfared, accused of participating in the theft of $3bn, in Iranian oil profits. 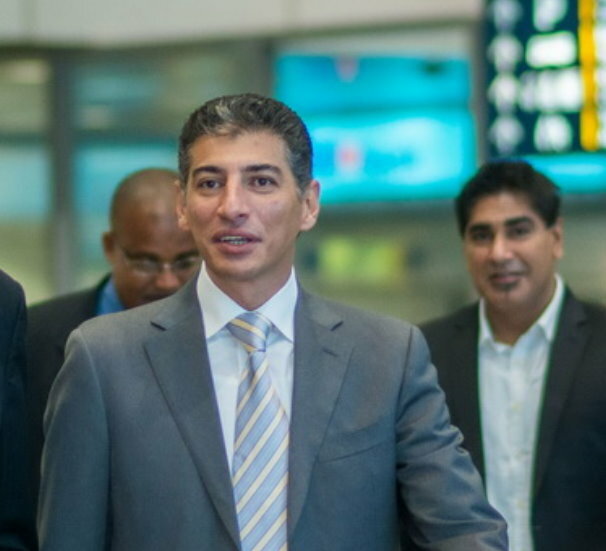 Monfared's extradition focused attention upon the fact that he, a known Iran sanctions violator, had been issued a diplomatic passport in the Commonwealth of Dominica, and that he had a close relationship with Dominica's Prime Minister, Roosevelt Skerrit, while evading extradition requests sent to Malaysia and Dominica. Some observers have expressed a fear that Monfared, known to be an intelligence agent in Iran, may have been engaged in espionage while he resided in Dominica, in an effort to redeem himself with his government, who had charged him with participation in a massive theft of state profits, in a case where one partner, Babak Zanjani, faces the death penalty in Iran, and another, Reza Zarrab, is a defendant in a criminal case, in US District Court in New York, and looking at 75 year in a Federal Prison. Was Monfared a spy who strayed for personal political gain, and then returned to his dark craft, to avoid a death sentence in Iran ? We cannot say, but the fact that there has been a virtual news blackout in Iran, regarding Monfared's case, is disturbing. Has he now received immunity from prosecution ? A lawyer for relatives of some of the Canadian victims of what has come to be known in the media as the Cayman Gang of Four scandal has announced that his clients have engaged a prominent New York entertainment firm, to develop and produce a major motion picture, detailing the story of the $450m theft, which was perpetrated by a crew of expert Canadian fraudsters, and led by a ringleader exiled from the Isle of Man, Sharon Lexa Lamb. Set in Toronto, Grand Cayman, and some of the other Caribbean tax havens, the movie will tell the story of a gang that set out to commit the perfect crime, how they used two Canadian wealth management firms as cover, and how their financial success was eventually thwarted by an investigator obsessed with finding the missing millions. The project is now in development, with a script completion date already set, and with principal photography to start later this year, in the Caribbean. The premiere showing will reportedly be in Toronto, and the spokesman indicated that all efforts will be made to place Canadian actors in the principal role, and that the tentative working title will be "The Great Canadian Ripoff." 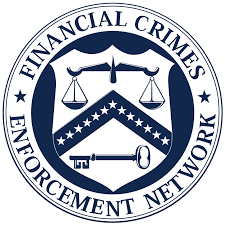 As it was about to expire this week, FinCEN extended its Geographic Targeting Orders (GTO), which require title insurance companies in certain US counties, to report large cash residential real estate transactions. What was extraordinary about the FinCEN announcement, however, was the disclosure that a significant portion of repeat buyers were already known, through SAR filings, but that they were still engage in what were, assuredly, illegal transactions, most likely money laundering of the proceeds of crime. (1) Where are all the money laundering indictments ? (2) Why are these targets, having been previously identified through SARS, still out there, buying real estate for cash ? I have never been one who subscribes to the policy regarding long-term monitoring of targets, so that they can lead one up the chain of command, to the most senior players. Will someone please put these money launderers out of business, before they acquire even more expensive USA real estate, driving up prices for legitimate buyers, while they launder dirty money. 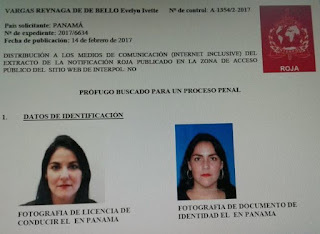 If you were perhaps wondering why all the publicity in Panama this week, concerning Attorney Evelyn Vargas Reynaga, and her arrogant, and illegal, efforts to cover up €3.5m in bribe money, sent to former Panamanian President Ricardo Martinelli's sons, by the Brazilian contractor, Odebrecht, perhaps it was the tenacity of Swiss authorities. who, after being fed a load of legal fiction, concerning the Source of Funds, dug deeper, until they concluded that it was a totally bogus effort to conceal dirty Martinelli money. 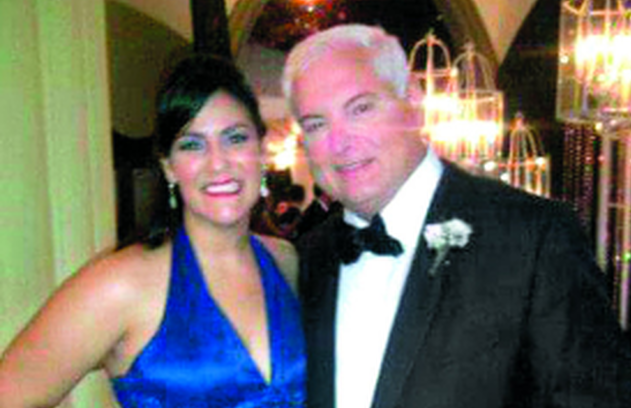 Abogada Vargas, who alleged, in documents she prepared, that the money represented profits from the sale of Panamanian real estate, belonging to Martinelli's two grown sons, Apparently failed to dummy up sales contracts, and other normal evidence of sale, regarding specific pieces of property. At that point, Swiss officials requested assistance from Panama, and Vargas' house of cards came tumbling down. After the INTERPOL Red Notice was issued, Attorney Vargas surrendered to Mexican authorities, rather than risk being injured, or worse, during an arrest, or being dealt with by forces working for Martinelli, who probably is not happy about her mistakes, as well as the fact that his sons also have Red Notices to contend with. If more Panamanian attorneys who file bogus documents, move dirty money, and lie about their role in a continuing criminal conspiracy, would go to prison, perhaps all those who engage in amoral conduct, disguised as the practice of law, might think twice about continuing their actions. Media reports today, showing American citizens not being allowed to deplane, on domestic airline flights, until they show identification, called "papers" by US Customs and Border Protection (CBP) are extremely disturbing. CBP only is authorized to check arriving or departing passengers on international flights. Photographs, and Tweets, showing passengers being harassed at JFK, when arriving from San Francisco, means that you better have your driver's license, from a state that requires only citizens possess them, handy, or you may want to bring your US passport along. It has been alleged that CBP was looking for an illegal alien. but this conduct smacks of a police state, without any legal authority. Law enforcement routinely observes deplaning airplane passengers, but demanding "papers" be produced sounds like something from the old Soviet Union. CBP should tread more carefully regarding American citizens, who will not be shy in expressing their disdain for illegal searches and seizures, which are, by the way, violations of the 4th Amendment to the US Constitution. COLOMBIA SEIZES $98m IN ASSETS OF THE FARC, BUT WHERE ARE THE BILLIONS IN CASH ? Agencies of the Government of Colombia, pursuant to the peace agreement with the FARC, and acting in several Departments, have seized estates, developed properties, and raw land, valued at $98.2m. Most of the owners were retired FARC members, or dissidents who are known to oppose the present government in Bogotá. You may ask yourself, how can designated terrorist organization, formed in 1964 as the military wing of the Colombian Communist Party, be so wealthy ? It has to do with the cultivation, and sale of illegal narcotics, for North American and European consumers, whose demand never seems to decline, and greed, notwithstanding the FARC's allegedly lofty ideals. The real score, reported to amount to several billions, in cash, was long ago transported into Panama, and other offshore tax havens, for laundering, and subsequent transfer abroad. Just where is that money, and how much is there in foreign banks ? Remember, the convicted Colombian Ponzi schemer, David Murcia Guzmán, shipped $2-3bn, in cash, into Panama, and most of that was FARC, not DMG, money. where did it all go ? Will the Government of Colombia seek to seize accounts in Panama City banks ? What about money placed in othr tax havens, by FARC money men ? Some of it was used to purchase units at the Trump Ocean Club, in Panama City, seizing those units, now controlled by the Panamanian fraudster, Gary James Lundgren, who stole the title to the realty, after Murcia was swiftly deported, overnight, to face justice in Colombia, through a process that raised the presumption that Panamanians wanted his arrest, so that they could help themselves to his illicit wealth. Reliable sources have confirmed that a large portion of Murcia's wealth turned a large number of Russian expats into millionaires, overnight. We hope and trust that the repatriation of illegally-earned cash in foreign bank accounts proceeds in a swift manner, and that the people of Colombia recover at least a large portion of the funds.. Notwithstanding its bold announcement, three weeks ago, that it would publicly name all the foreign nationals holding diplomatic passports, Antigua & Barbuda has still not released the identities of those obviously high-risk individuals. Antigua made that statement, at the beginning of February, after the regional controversy over the extradition of a known international oil sanctions evader, who was issued a diplomatic passport in Dominica. Antigua did advise that it sent a list of its accredited (meaning genuine) diplomats to its "international partners," although such professionals are already known, as they routinely present their credentials to the country where they are serving, at the beginning of their tour of duty. This news does nothing to educate the banking industry about who is running around the globe with these technically illegal passports. In an effort to pacify those who are still asking tough questions, and more likely as a form of spin control, Antigua is now claiming that it is upgrading its economic passport program, by adhering to Global Investor Immigration Council (GIIC) recommendations and regulatory framework. The GIIC is not an official body; it is an industry group, a London-based NGO, without any enforcement powers, and to date has functioned as solely an advisory body. Antigua has offered to recall and reissue its paid diplomatic passports, with biometric features, to prevent unauthorized use, but here again, no movement has been seen on this front. Until and unless there is some genuine reform of Antigua's diplomatic passport program, compliance officers will treat any encounter with individuals holding such documents as extremely high risk, meaning that enhanced due diligence must be applied. Not only is the Anti-Corruption Prosecutor's Office in Panama seeking, through an INTERPOL Red Notice, the two grown sons of fugitive former president, Ricardo Martinelli, for their role in receiving, and hiding at least $6m in bribes from Odebrecht, it is also looking for Martinelli's money laundering assciates, who assisted the sons in acquiring the illicit wealth, and then secreting the money in Swiss accounts, and this week they got their hands on one. 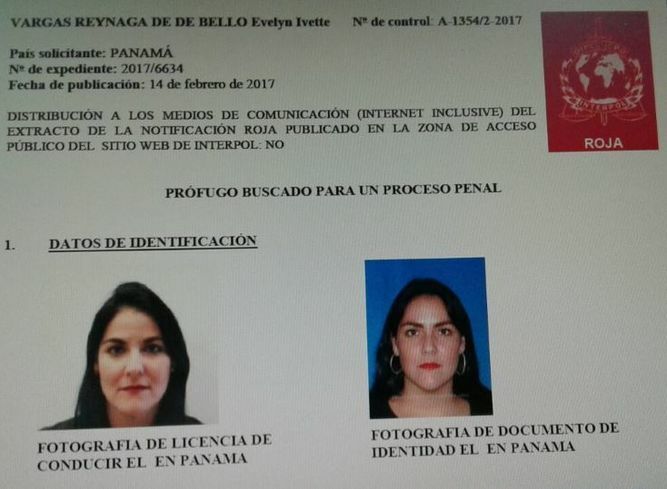 Panamanian attorney Evelyn Vargas Reynaga, who also had a Red Notice filed against her, surrendered to law enforcement in Mexico City this week, and was flown to Panama, where she was taken into custody, on suspicion of money laundering. The total estimated amount of bribe & kickback money, paid by Odebrecht, to "qualify" for lucrative government contracts, continues to increase, as the investigations uncover additional recipients, and more bribes were now known to be paid to those whose illegal conduct is already known. Where exactly are Martinelli's two sons ? They did submit, in a court proceeding in Panama, affidavits notarized in Miami, but whether the brothers were actually in Florida is not known, and Panamanians are not known for strictly complying with the law, when it comes to notary publics, as the massive amount of notary fraud in Panama can attest. Some say Miami, but other say they were denied entry. They were last seen in Spain, but have moved on after they were named as targets. The United States, which has sustained a bit of a black eye, for letting the guilty ex-dictator publicly gorge himself in Miami, still shows no signs of processing his extradition to Panama, and may now find itself not receiving all the favors American law enforcement regularly seeks in Panama City. Two attorneys, who are Deputies in the European Parliament, have demanded that Spanish prosecutors, and the country's judiciary, answer for what they deem to be human rights violations. The Deputies, Jean-Luc Shaffhauser and Georgios Epitideios, want the unjustly imprisoned Spanish-Russian businessman, Vladimir Kokorev, and his wife and son, released forthwith. The Kokorevs were arrested in Panama, not for criminal charges, but on material witness warrants in a money laundering investigation, and have spent the last 18 months in custody, though no money laundering charges have been filed against anyone. The court seems to be acting illegally, without any checks and balances from the government. Court observers have long maintained that the Kokorev investigation is an attack upon the leadership of Equatorial Guinea, whose rulers have chosen to give their lucrative oil drilling business to American, rather than Spanish, companies, EG was a former colony of Spain, and it discovered oil after independence. Wealthy Spanish firms still covet that petroleum business, and are seeking to remove EG president Obiang, who was involved in maritime business with Dr. Kokorev, an expat Russian academic with expertise in Africa, and whose cooperation is being demanded, for purely political reasons. Canary Islands prosecutors are reportedly holding Kokorev, in what amounts to cruel and unusual punishment, under Spartan conditions, threatening to charge him with money laundering, notwithstanding that he was previously cleared in Spain, and that the Statute of Limitations has probably run, as the transactions named occurred fifteen years ago. 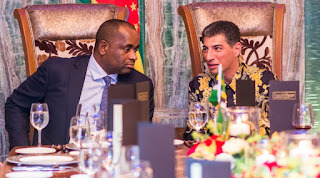 They are obviously seeking to have Kokorev implicate President Obiang, to facilitate his removal, and subsequent installation of EG expats who will sign favorable contracts with Spanish companies. Consider this case the next time you must access the risks of doing business in Spain. 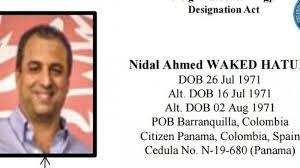 The US District Judge presiding over the Miami money laundering trial of Nidal Ahmed Waked Hatum, the Colombian-Panamanian businessman accused of moving huge sums of Mexican & Colombian drug profits through his large number of legitimate Panama city companies, for October 30, 2017. Defense counsel had requested additional time to file pretrial motions, and reset the trial date, in what promises to be a case involving the movement of the proceeds of crime into a complex web of front companies, many of whom are well-known to Panamanian consumers, and who reportedly employ 3000 people. The US Attorney's Office did not oppose the defense motions. It is always good to get alternative, or even opposing, views, on any major compliance issue, and the World Bank's White Paper Stakeholder Dialogue on De-Risking offers a somewhat divergent opinion on the problem correspondent banks are experiencing, when their relationships with onshore mainstream correspondents are terminated, for what are described as risk-based reasons. The White Paper, which adopts the FATF position, that what is referred to as 'de-risking" is really an avoidance of the issue, by the big banks, rather than seeking a valid solution, recommends that foreign correspondent banks share customer information, to reduce risk, and minimize onshore bank insecurity over lack of knowledge about the correspondent's customers. it takes the position that de-risking is an excuse, and objects to the use of the term on principle, and states that solutions are available. The troublesome issue of "nesting," where a bank which has had its correspondent accounts closed, uses the facilities of one who still has theirs, is recognized, which does demonstrate that the World Bank, while acting as an advocate for the needs of the foreign correspondent, recognizes that clear and present dangers do exist. I am attaching a link to the Findings and Recommendations, which are instructive, but many of the recommendations are admittedly difficult or expensive to implement, or would require cooperation, on either a private, or governmental, level, to the extent that is not feasible, on a timely basis. The White Paper's recommendation, regarding the sharing of client information, meaning t he implementation of Know your Customer's Customers, or KYCC, is in line with the conclusions I have previously advanced on this blog. KYCC may be the only effective, and possible, solution, and though its has been recognized for several years by the compliance industry, there has been a lot of foot dragging. with the widespread global closure of correspondent accounts, it is time for KYCC to become banking best practices. Readers wishing to access the White Paper, may access the complete text here. 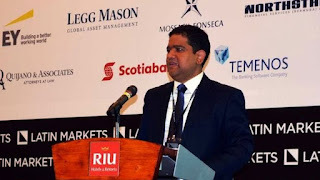 WILL NEW VENEZUELAN INVESTMENT IN DOMINICA REALLY BE LAUNDERED IRANIAN MONEY ? The love affair, that Dominica's Prime Minister, the beleaguered Roosevelt Skerrit, is having with the Bolivarian Republic of Venezuela, will not end well for the Commonwealth of Dominica. Given that the latest estimates now, for the first time, place Venezuela below Haiti, as the poorest country in the Western Hemisphere, and that US Dollars have become rare as hen's teeth, unless they are criminal profits, or Iranian capital, one must expect that all of the promised "investment funding" sent to Dominica from Venezuela will neither be clean, nor free of strings. Remember, scores of Venezuelan nationals, from senior military officers, to the Vice President himself, are on the OFAC sanctions list, known in Latin America as the Clinton List, because it was created during the administration of Bill Clinton. This means that Dominican businessmen who accept funding from Venezuela may later learn that the source of the funds transferred to them may be tainted, land them on the OFAC sanctions list, or cause them to be banned from entering the US as visitors. The money may also be laundered narco-profits, which could land unwitting Dominican recipients in a 200-person Federal indictment, filed somewhere in the US, as co-conspirators in some vast cocaine smuggling enterprise. Not a happy outcome, to be sure. Iranian capital, though cleverly disguised as Venezuelan, might just place Dominica front and center in a future American-Iranian conflict, economic rather than military, as the US seeks to reduce the influence of its global adversaries in the Caribbean Basin. While Gunboat Diplomacy is a vestige from America's past, there are far more subtle ways for the United States to keep foreign influence out of the Western Hemisphere. The Monroe Doctrine is far from dead; Ask Grenada and the Republic of Panama. If Dominica accepts suspect investment from Venezuela, the risk of future OFAC sanctions problems, even potential exposure to US criminal charges, serves to further increase Country Risk. 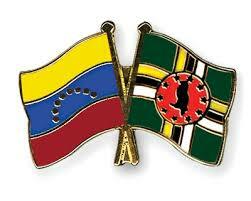 We trust that cooler heads will prevail, and Venezuelan, or Iranian, dollars will not find their way into Dominica. 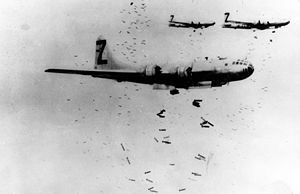 Remember, Iran is regarded as a State Sponsor of Terrorism, and no matter how much greed the Skerrit government possesses, how can it take money from a radical islamic dictatorship, which treats its people, especially minorities, worse than Nazi Germany ? The risk-based compliance programs that North American banks have implemented, to suppress money laundering and terrorist financing, can only succeed if they extend effective risk reduction to their correspondent banks. This means Know your Customer's Customer, or KYCC, is not longer an option, if banks are to retain their correspondents. (3) A lack of sufficient recurrent in-country compliance training. there are also many other contributing factors. Banking best practices, at the level practiced by North American banks, is thus the rare exception, rather than the rule. The problems are often more severe in countries in the developing world. The sole acceptable solution is to require that your correspondents enable you to have full & complete access to their clients' information, that they close accounts for customers who your inquiry finds present an unacceptable level of risk, or are on sanctions, and that legitimate customers who subsequently engage in conduct that is not acceptable, are also asked to leave the bank. This is not all bad news for the correspondent banks, because by working with their onshore banks, they insure that their prized relationship will not be terminated, for risk-related reasons. To understand the reverse of the problem, that experienced by your correspondents, read my recent article, How Caribbean Banks can keep their Correspondents by utilizing KYCC Technology . With KYCC, both the onshore bank, and the overseas correspondent, can retain their valued relationship. Nidal Waked Hatum, a Colombian "businessman" who allegedly led a multi-million dollar enterprise in Panama, that engaged in laundering criminal profits for Colombian & Mexican drug traffickers, has been denied bond for the second time, in a Miami Federal courtroom. He was extradited from Colombia in January, and many of his companies placed on the OFAC list. A US Magistrate Judge originally denied him bond, and his attorney took the issue to the District Judge who will try his case. At the hearing it was revealed that Waked has a Spanish passport, A Panamanian passport, and is a resident of Canada. The judge, noting that he has no ties to the US, and that his wife was refused entry, ruled that he was a wealthy flight risk, who should be subject to pretrial detention, until his case is heard. We wonder, given that Waked's money laundering activities were well known, how he, at the time of his arrest, held a Spanish passport, and residence in Canada. 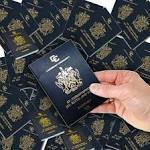 This economic citizenship problems, where dodgy individuals pay a lot of money to obtain a passport in another country. continue to confront law enforcement, when the target's multiple access to passports is exposed at his arrest, seem to be increasing, but no international movement to ban them is on the horizon. IS JUDGE WITH ONE OF THE CRIMINAL CASES AGAINST MOSSACK AND FONSECA SEEKING TO DELAY JUSTICE ? According to published reports, there may be as many as four separate money laundering cases now filed against Panama City office practitioners, Jurgen Mossack and Ramón Fonseca Mora. Both lawyers, accused for running a massive tax evasion, corruption laundering, and money laundering operation, in the Brazilian scandal known as the "car wash" case, have been detained, to prevent them from fleeing the jurisdiction, or further engaging in criminal activities. Now, at the Supreme Court of Justice, Magistrate Judge Harry Diaz González de Mendoza, has lodged a formal objection to the consolidation of the pending cases, to another magistrate. Diaz has beena ssigned one of the Mossack cases. His motives are unclear, since judicial economy is to be observed whereafter possible in complex litigation. Diaz was closely linked to the fugitive former president of Panama, Ricardo Martinelli, and also visited the offices of a Waked-controlled company, when it was about to be sanctioned by OFAC, and he may have designs on delaying the prosecution of the Mossack partners, to deny the swift imposition of justice, on the orders of corrupt Panamanian officials, present of former. Unfortunately, there are not real procedures in place to discipline Supreme Court judges, so his sins and transgressions have been roundly ignored by the court, but Martinelli's undue influence could be the reason for Diaz' efforts to keep one of the Mossack and Fonseca cases. IS MALTA'S LOSS OF CORRESPONDENT ACCOUNTS IN THE US DUE TO PANAMA PAPERS ? Last year, when the Panama Papers information was publicly disclosed, two senior members of the Government of Malta were shown to be using the law firm of Mossack and Fonseca, to conduct suspicious offshore financial business. Malta's reputation as a corruption-free jurisdiction was tarnished as the direct and proximate result, but the injury is believed to have much more severe than mere reputation damage. Since the release of the Panama Papers, Maltese media have reported that a number of local banks have lost their correspondent relationships with US financial institutions. The situation became so serious that the country's prime minister traveled to New York, in what many observers believe was a mission to seek to restore those corespondent accounts, and assure the global banking community that the two instances of possible corruption were an aberrant event, and that Malta can be trusted. Damage control, regarding the roles of the government official named, appears to be ineffective, due in part to a lack of action against those officials, and Malta will now have to move in a direction to assure American bankers that its client base has no surprises, and that corruption is non-existent. That can only happen through total transparency, regarding bank customers, and again we remind our readers that KYCC, Know your Customer's Customer, appears to be the only solution that major onshore banks will accept. We hope that Malta's bankers will respond to the challenge, and offer our advice and assistance, as we do for all of our readers with a compliance problem. A classic tax fraud case, the object of which was to evade taxes, by making it appear that the profits of a Canadian company, generated abroad, had been sent to Canada, when it was an elaborate fiction, demonstrates that there was nothing that the law firm of Mossack and Fonseca would engage in, when it came to facilitating client criminal activity. Tax treaties, between certain countries in South America, and Canada, provide that companies do not pay taxes upon their income, if taxes on those sums was being paid in Canada. A corrupt "tax consultant." created dummy contracts and false invoices, and even bogus records of wire transfers, ostensibly to Canada, but in truth and in fact, the money was wired to Mossack Fonseca, who followed client instructions, and sent the funds to Swiss accounts. The only question I have is, why did it take the Government of Panama so long to finally arrest the Mossack partners ? Notwithstanding the attention being paid to major problems, regarding unqualified foreign nationals receiving passports, and even diplomatic passports, through the Citizenship by Investment programs being operated in several Caribbean jurisdictions, the offshore industry has scheduled a boatload of events in 2017, to showcase these programs for interested, and therefore affluent, purchasers. (1) If the client, seeking to open an account, or commence a new relationship, offers you a passport from one of the countries listed below(all of whom are advertising some sort of program or other), check their place of birth. if it is NOT in the country where the passport is from, initiate enhanced due diligence immediately, for you may have one of the CBI passports. (2) Is the passport brand new, and without the usual visas and entry/exit stamps affluent client are likely to have ? This is another red flag of a possible CBI passport. (3) Does the passport holder fluently speak the official language of that country ? (4) Does the passport holder appear to be of an ethnic or racial background other than those normally found in that country ? This is not profiling, but seeking to rule out any prospective client that is too high risk for you to accept at account opening. fact that strict vetting is conducted in this jurisdictions. The days when compliance officers can accept a passport at face value are, sadly, gone forever, due to the expansion of CBI programs, and their uneven, and often, unacceptable levels of due diligence. In what appears to be the first favorable ruling handed down in the case, the US District Judge presiding over the Reza Zarrab Iran sanctions violations case has denied the motion, filed by the US Attorney in New York to disqualify key members of the defense team. 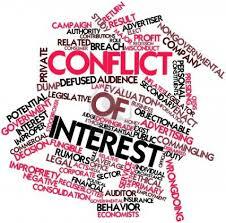 In an eleven page opinion, the Court held that there was no conflict of interest. (1) That the defendant accepted counsel, notwithstanding there there were potential conflicts and limitations, regarding the attorneys' defense of him; He waived the conflict. (2) Based upon the information furnished to the Court, by the parties, the conflicts to not appear, at this time, to disqualify the attorneys from representing Zarrab. 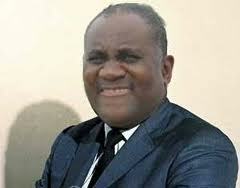 (3) The Court advised the parties that, should there be a change in circumstances, they are to advise the Court. The trial date has been set for August 21, 2017. The defendant's brother Mohammad, who was charged, but is not in Federal custody, may not be the only other individual indicted. It is known that there are several other co-conspirators, but any indictments that exist will be sealed, until such time as arrests are made, to avoid their flight to avoid prosecution. Some of the unknown defendants may not be Iranian or Turkish nationals, and given the importance which the Department of Justice is prosecuting Zarrab, due to the issues raised, it is probable that there are additional defendants. The Attorney General of the Islamic Republic of Iran, Mohammad Jaafar Montazeri has announced that his government will not execute the convicted master embezzler of the country's oil profits, Babak Zanjani, until the entire $3bn, that Babak, Reza Zarrab, and Alireza Monfared, allegedly stole from their own government. Zanjani's hanging was to be scheduled in March, but it will now be placed on hold. Curiously, it does not appear that Iran has withdrawn its previous offer, to cancel the death penalty, provided that the entire $3bn owed is returned. The present statement infers that Zanjani will ultimately meet the hangman, but only has been granted a temporary reprieve. Zarrab is believed to control a fortune estimated at $6bn. Whether Monfared, who was apparently a close associate, will turn over control of his overseas assets, to avoid execution himself, is unknown. 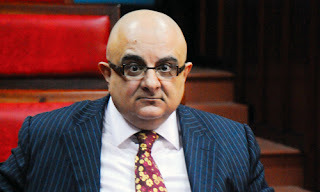 When he fled Malaysia, escaping an Iranian extradition request, and using his Dominican diplomatic passport to evade justice, he probably carried with him information about his accounts, as well as bearer financial instruments or gems, but it is not known if he deposited any of his assets in Dominica, or owns real property there, using front men or attorneys. It should be noted that Dominica refused an Iranian extradition request, while Monfared resided there, and it is unlikely that the government will cooperate with Iran, in any efforts to seize assets. The potential loss of correspondent banking accounts in the United States is dominating conversations among Caribbean bankers recently, especially since a number of American financial institutions have terminated many of those longtime relationships. It is perhaps the most pressing problem bankers in that region face. is there a viable solution ? Yes, there is. The US banks, operating under risk-based compliance programs, are reducing risk wherever possible, and the Caribbean which, through the accident of geography is both a transit zone for narcotics, and a favored money laundering destination. unless the Caribbean financial institutions have a means of assuring the onshore US banks that their clients/customers are all legitimate, correspondent relationships, even those which have been maintained for decades, are at risk. The American banks need to know who your customers are, in essence, Know Your Customer's Customer, or KYCC is the solution. Armed with this knowledge, the risk managers can ascertain whether any of the Caribbean bank's own customers pose a threat, and should be terminated. This procedure also helps the Caribbean bank reduce its own risk level, and therefore improve anti-money laundering, and countering the financing of terrorism programs. New technological advances in compliance programs allow users to identify unsatisfactory, or high-risk customers, or good customers who later have issues which raises their risk levels, as well as all your low-risk clients who should be retained. Space on this blog does not permit an adequate and illustrated description of those programs, and why they are an acceptable means of restoring your correspondent's confidence in your client base, and AML/CFT program, but if any readers are not familiar with those programs, feel free to send me an email at: miamicompliance@gmail.com with your query, and I will respond to you in detail. While it is the Caribbean banks that are reporting the most terminations of correspondent relationships, a recent report from other areas of the developing world also that similar situations were occurring in Latin America, Asia & Africa. We hope that those banks also choose an effective solution, before they also suffer what might be a catastrophic loss in correspondent relationships. 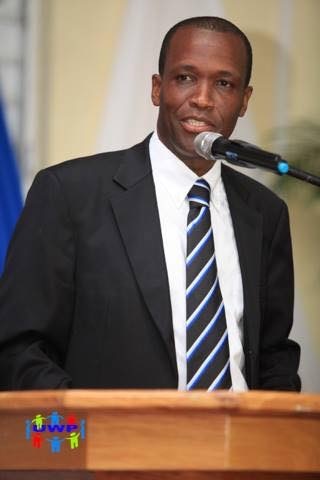 Dominican lawyer Anthony Astaphan, who, though he refuses to admit it on the record, is Dominica PM Roosevelt Skerrit's attorney and chief spokesman, has been filling Dominican newspapers with commentary, hawking his support for the illegal diplomatic passport scheme, has a darker side to him that is not generally known in Dominica. He has been responsible for interfering with the the administration of American justice, involving individuals responsible for Antigua's Stanford International Bank scheme. Astaphan has long represented the fugitive Antiguan former banking regulator, Leroy King, who has been wanted in the United States, to face justice for his prominent role in concealing convicted fraudster R Allen Stanford's massive Ponzi scheme, from American regulators and investigators. King is the only major target of the Stanford case not yet in custody, and Mr. Astaphan has had a major role in keeping him out of an American courtroom. Remember, King is the Antiguan regulator who reportedly swore a blood oath, in the dark of night, at an isolated airfield, to Stanford, and his criminal enterprise, for which he was certainly well compensated, as were many other senior Antiguan leaders. A search of Antigua newspaper articles confirms that Astaphan is shown as counsel for King, though he apparently now is denying it. How has he accomplished this legal feat ? Simple, as the dominant person on King's legal team, he has, through delays, changes in assigned judges, and tactics not supported in either the law, or the facts, delayed King's extradition to the US, for 8 years. Given that the judicial assignment to the King case has been intentionally passed around, like a basketball, which is one of the ways that justice is infinitely denied. Obviously, Mr. Astaphan has found a way to game the system, to insure that King never is ordered extradited, to face the music. He has engaged in dilatory practice, to deny the administration of justice. Why is Astaphan so focused on the King case ? His father-in-law, a former Antiguan Prime Minister allegedly received large sums of money from Stanford. Remember, Stanford's banks were licensed in Antigua. 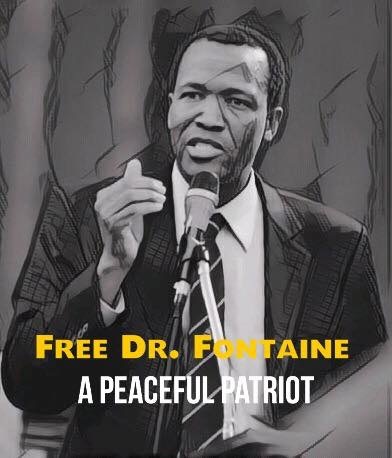 If King is ever extradited, to US District Court in Texas, where Allen Stanford received a 110-year sentence, King faces a probable long sentence, which might even amount to the rest of his natural life; He certainly will not desire that outcome. called the Crime or Fraud Exception. I wonder how much Mr. Astaphan knows about American Federal criminal law ? He is potentially exposed there. Antigua was seriously, and permanently, damaged, by the scandal generated by Stanford's criminal enterprise. Dominica should take heed of that sad story, and cast off its covert diplomatic passport money machine, and its supporters, as soon as possible. Rumors are flying about in Panama City, to the effect that the Attorney General plans to seize the Super 99 grocery store chain, whose majority owner is the country's fugitive former president, Ricardo Martinelli. Notwithstanding a reportedly properly filed extradition request, Martinelli, who associates were dubbed the "Monkey Mafia" by angry Panameños, seems to be flaunting his luxurious Miami lifestyle, on a condominium on the city's upscale Brickell Avenue. He is even living in the same building that was featured in the opening shots of "Miami Vice," which is more than appropriate. The stalled status of his extradition, to face more than a dozen criminal cases, has led many to suspect that the former president has an established, yet covert, confidential informant relationship, with a US law enforcement agency, which is protecting him from deportation to Panama. Does he have the proverbial Get-Out-of-Jail-Free-Card ? In a related matter, the INTERPOL Red Notices, demanded by the government, have now been issued, against Martinelli's two grown sons, who allegedly received $6m in bribes, from Norberto Odebrecht SA, the Brazilian mega-contractor who landed huge projects in Panama, after making illicit payments, to "facilitate" approval by the Martinelli administration. WILL OFAC DESIGNATE THE OPERATORS OF DOMINICA'S ILLEGAL DIPLOMATIC PASSPORT SCHEME ? I have been searching for a legal solution to the problem. 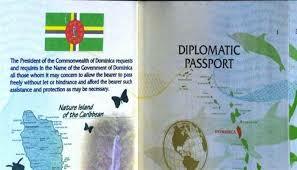 The "unofficial" diplomatic passport sales program of the Commonwealth of Dominica is clearly out of control. A look at the foreign nationals who are known to have purchase diplomatic credentials from Dominican government officials reveals a rogues' gallery of financial criminals, sanctions evaders, and other suspects, none of whom you would want dating your worst enemy, let alone gaining inspection-free entry into many of the world's airports and other ports of entry. Since the corrupt senior Dominican government officials, and the "sales agents" who earn obscenely high commissions for steering wealthy (but dodgy) foreigners to that prized diplomatic passport, will not kill their golden goose, the program, and the rule of law seems to have gone on vacation in Roseau,, what can be done ? This is not Grenada, or Panama; don't expect a US Marine Expeditionary Force to land, subdue the SSU, imprison the Prime Minister, and his cabinet, and establish a provisional government, but the Office of Foreign Assets Control (OFAC) can certainly wield economic power. It is as simple as imposing a designation for WMD, or Iran sanctions, for the actions of the program facilitated Iran sanctions evasion activities. if pressed, we may find other unrelated criminal conduct, on the part of the other diplomatic passport holders, to justify other OFAC designations. If such an action occurred tomorrow, I am afraid that the Prime Minister would be barred from traveling to New York, to stay at his residence there, and could not visit his wife and child, who arrived there recently, and some of those now obscenely wealthy cabinet members would not be able to throw money around in Miami, but it may be the only way to insure that no more counterfeit diplomats obtain the tools to commit crimes, evade international sanctions, smuggle everything and anything, and appear to be emissaries of a sovereign government, when they are only common criminals. If the Dominican Government will not stop the diplomatic passport program, sanction the government that runs it. WITH VENEZUELA'S VICE PRESIDENT NOW AN OFAC KINGPIN, DO YOU REDLINE VENEZUELA COMPLETELY ? The SDNTK designation, imposed by OFAC upon Venezuela's new Vice President, Tareck El Aissami, presents compliance officers at US banks with a dilemma; how does one safely engage in any transactions with Venezuelan banks, when even the country's second in command is OFAC- sanctioned ? He allegedly has drug trafficking ties, as well as being involved in the distribution Venezuelan identification to terrorists. Is anything in that country low-risk ? Add to the mix the sad fact that a full two-thirds of the major money launderers operating in the Republic of Panama, are Venezuelan nationals, busy cleaning their clients' drug profits, proceeds of corruption, criminal profits, and terrorist financing profits, and all that dirty money is coming out of Venezuela, where your bank client is engage in international trade. What is one to do ? If possible, you can redline all transactions with Venezuela, directly or indirectly, that are passing through your bank, but your exposure to existing debt, letters of credit, outstanding balances, and current client contractual obligations, all complicate your ability to extricate yourself from the financial nightmare that is today's Venezuela. Perhaps the best thing is to decline any future business, and wind up what you have on your plate, as quickly as possible, while watching closely for front men, and other evidence of intermediaries. All Venezuelan transactions hereafter should be the subject of enhanced due diligence, lest you find yourself on the short end of a criminal investigation of a former Venezuelan client. You may be moving drug profits, without even being aware of it; be careful. A month later, court watchers are still closely monitoring the Reza Zarrab's Iran sanctions case, pending in US District Court in New York, waiting for a ruling on the Government's motion to disqualify some of Zarrab's best attorneys, on the grounds of Conflict of Interest. The lawyers' firm merged with one which represents many of the US banks who were allegedly victims of Zarrab's sanctions evasion maneuvers, using US Dollars. Considering that the Court has been ruling, in a relatively swift manner, on other pending motions, is is curious that this issues remains unresolved, especially since the case has been set for trial later this year, and if additional counsel are brought in, assuming that the motion is granted, the longer this matter is pending, the better an argument new counsel will have for a continuance of the trial. Any defense appeal of a ruling on an order granting the Government's motion will be a problem, since it is not a final order or judgment, and existing case law, concerning the ability to appeal of such an interlocutory order, is not favorable, with a few rare exceptions. We will continue to monitor the case, and report back when a decision is handed down. WHY THE DOMINICAN DIPLOMATIC PASSPORT PROGRAM GETS AN "F"
I have been reading, over and over again, that the due diligence investigation, conducted upon applicants of Dominica's diplomatic passport program, was more than adequate; it searched all the sanctions lists, and failing to find any negative information, approved an Iranian national, living in Malaysia, with a Malaysian passport, and engaged in massive international trade. Attorney Anthony Astaphan, himself without any experience or training, in the field of compliance, says everything was properly done. Nothing could be more wrong. Iranian nationals, given international sanctions, including strict US sanctions, in force upon Iran , are by definition high-risk, which means that Enhanced Due Diligence is required. EDD demands actual inquiries, in the real and virtual worlds, be conducted, and one never, ever limits such searches to obsolete sanctions list. To try to claim that all which should have been done, was done, is bloody insulting to the intelligence of compliance officers. As I have previously stated, US regulations, effective in 2010, call for accessing any information that is "knowable," which I personally did in 2011, when checking out Reza Zarrab. I found that his associates, Babak Zanjani, and Alireza Monfared, were his partners in an illicit oil sales operation. I did not use any restricted information to arrive at that conclusion, just a few well-placed emails and interviews, conducted by others. If I knew these facts, then they were in the public domain, and definitely knowable. So why did the large search firm not catch it ? Obviously, someone did not want the truth to come out, so it did not. 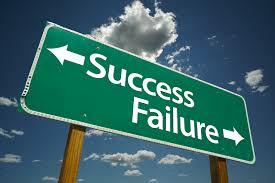 As a former compliance officer, I know a compliance failure when I see it. Mr. Astaphan, apologist for a government which issued a diplomatic passport to a member of one of the most dangerous criminal organizations on earth, is beginning to sound more like a propagandist, than a lawyer who deals in facts. 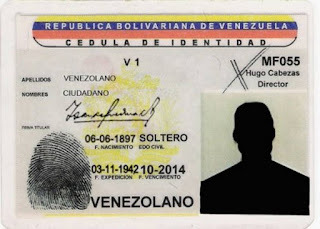 The exclusive news story, recently released by Cable News Network (CNN), regarding the issuance of legitimate Venezuelan identity cards, and passports, to dozens of Hezbollah terrorists, may have surprised most Americans, but, in truth and in fact, US law enforcement agencies have had copies of those identity documents for several years*; they conveniently classified that information, keeping it out of the hands of the Americans who need it most, the country's financial institutions, money service businesses, casas de cambio, and foreign exchange firms. 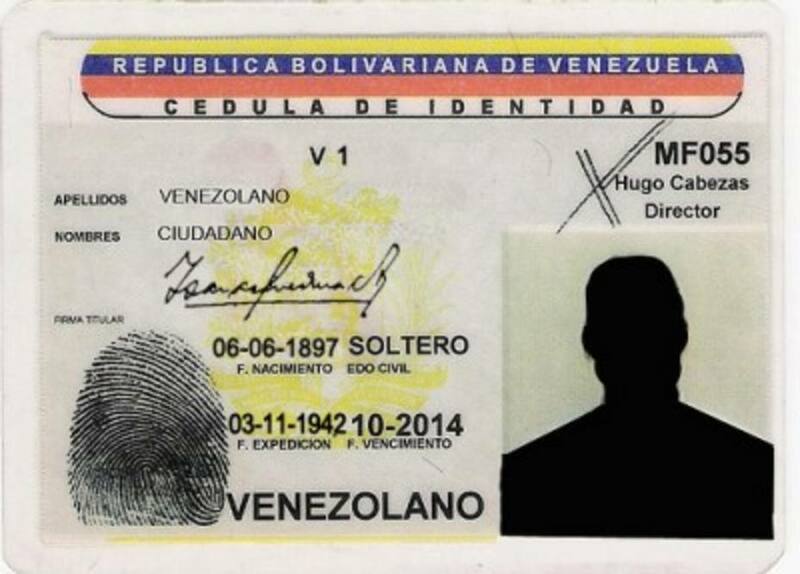 Unfortunately, our government fails to see that, denying bank compliance officers the names and photographs of known terrorists, means that they can walk into a Miami bank, with official, legitimate Venezuelan identity documents, and open an account, their Hezbollah affiliation not known. If the depositor is indeed facilitating the financing of a terrorist operation, secrecy of the identity card and passport has been deemed more important than preventing such acts. I know this because I have seen those documents,. and they were turned in by others; the Arab names of the terrorists have been turned into Hispanic versions, to successfully survive compliance scrutiny. Perhaps if Americans knew more details, regarding the penetration of Latin America, by terrorist organizations dedicated to the destruction of the United States, effective action might be taken to detain, or imprison, those agents. 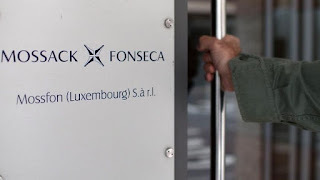 Jurgen Mossack and Ramón Fonseca Mora, the senior partners in a law firm whose massive money laundering and tax evasion operations were brutally exposed by the Panama Papers, are in custody, being held for interrogation, on suspicion of money laundering. What is not publicly known is that they are in accommodations described as "luxury," and they have 24-hour visiting privileges. What's wrong with this picture ? For those readers who are not familiar with the business culture in the Republic of Panama, it may be summarized thus: so long as a business brings cash into Panama, nobody will inquire into the Source of Funds, or the background of the clients. No wonder Mossack and Fonseca are being treated like Mafia kingpins, for they were responsible for bringing a large portion of the dirty money influx, that drives new construction, real estate sales, and pays the exorbitant fees of the lawyers. I wonder if M & F have conjugal visits ? 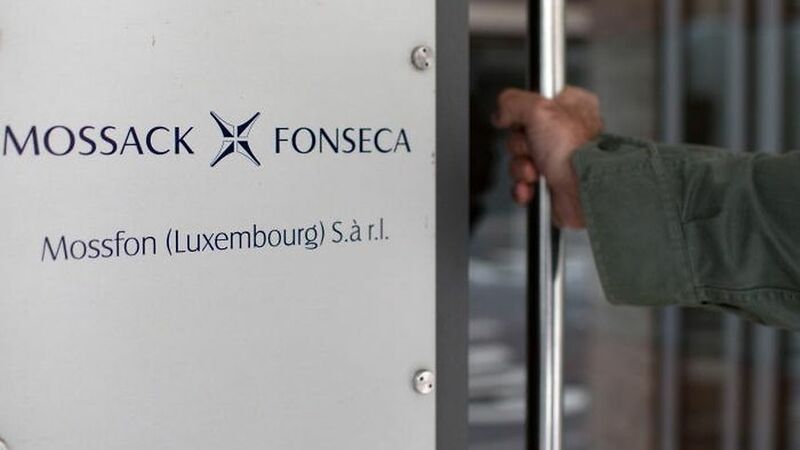 Panama attorney Edison Teano, known to be a partner at the law firm of Mossack & Fonseca, was detained for questioning by the authorities, reportedly around the same time that the name partners of that firm were also taken into custody. Teano is said to have been involved in the use of Panamanian corporations to hide bribes received by members of a Brazilian political party; He is being investigated for money laundering, according to published reports in Panama. The role, played by a number of lesser known attorneys at the Mossak firm, has thus far escaped media attention, though this blog has identified several of them. Many MF lawyers are seeking to avoid scrutiny, by quietly moving to Panama City law firms, obviously hoping to escape being charged with money laundering. Whether Panamanian authorities move against them is not known, but given that there are no real disciplinary agencies in Panama, to control attorney misconduct, unless the prosecutors arrest them, they will effectively evade justice for their crimes. In related news, both MF name partners, Jurgen Mossack & Ramón Fonseca Mora, were denied bail, due to flight risk considerations. Their lawyers were busy denying that there was sufficient evidence that they were guilty of money laundering, but one doubts whether anyone was listening to them.